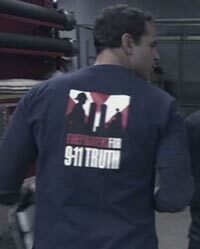 Last year, in response to numerous viewer requests, Colorado Public Television (CPT12) aired two independent films, 9/11: PRESS FOR TRUTH and 9/11 BLUEPRINT FOR TRUTH. It was the United States’ broadcast television debut for each of these controversial films, both of which question the official reports of what happened surrounding the attacks on September 11, 2001. While both programs helped raise funds for Channel 12, their broadcasts were not without controversy. Our evening of 9/11 programming generated many comments from the press as well as a huge groundswell of feedback from CPT12 viewers and members. Taking all feedback, criticisms and requests into account, Colorado Public Television is now airing LOOSE CHANGE 9/11: AN AMERICAN COUP.